Vibe is everything when it comes to award-winning colourist John Blue’s newly opened BOSS HAIR GROUP. Featuring geometric lines, bold colour and a handpicked team of stylists, John shares his story behind this true salon sanctuary. Why did you decide to open BOSS HAIR GROUP? I opened up BOSS HAIR GROUP because I was tired of working towards someone else’s future and retirement. I was becoming burnt-out and felt as if I worked in a factory. I wanted to go back to a time when the salon experience was more intimate and personal, like when I started 20 years ago. Creating a chill and inviting vibe was just as important. I decided on the name BOSS because I wanted every co-worker and client to feel a sense of ownership. Each talented style and colour BOSS is an expert in their chosen craft. BOSS can mean so many different things to so many people. Tell us about the décor. What inspired you? I wanted to create a scene that I would thrive in, as well as my staff. For so long, we’ve been seeing the mundane white, minimalistic canvas that so many salons and boutiques have. I love the idea of making a statement and the minute you walk in, you can feel it. I was always drawn to David Bowie’s personal style. His iconic androgynous fashion choices were bold and expressive. The design of the space was based off of the lightning bolt painted on his face from one of his album covers. That, mixed with Andy Warhol’s “Factory”, also played into my vision - a studio space that would bring many creative minds to meet. Throw in a little Studio 54 glam with some 90s supermodel chic and you’ve got BOSS! How important was it to BOSS HAIR GROUP to become a sustainable salon? colour tubes, plastic packaging, hair colour and even hair! Every product we use, even down to our cleaning supplies, are sustainable and ecofriendly. Which colour/styling products do you use? BOSS also has an Organic Refill Club where you can bring back your Oway glass bottle packaging and we will refill your shampoo or conditioner. This is great because there is no waste, therefore reducing your carbon footprint on the environment. Bold, colourful, expressive, chic, chill, comfortable, inviting, sustainable and conscious. 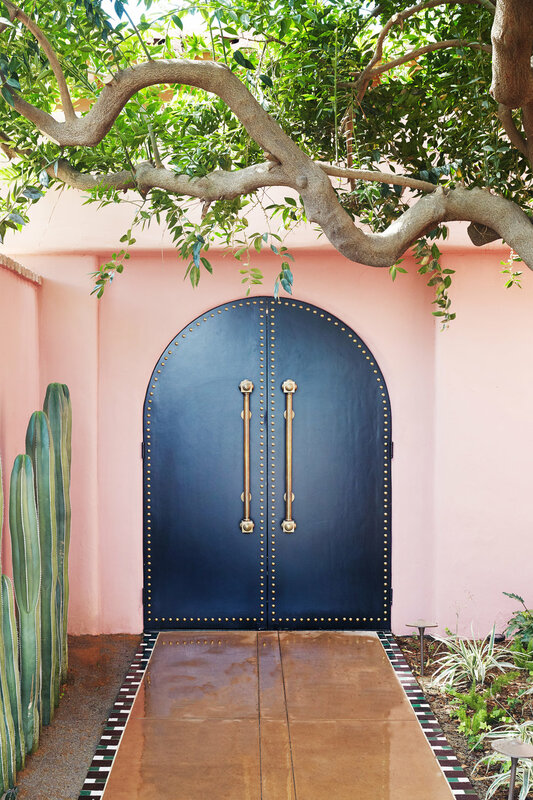 Sharleen Singh indulges in a blush-hued dream in California, USA. 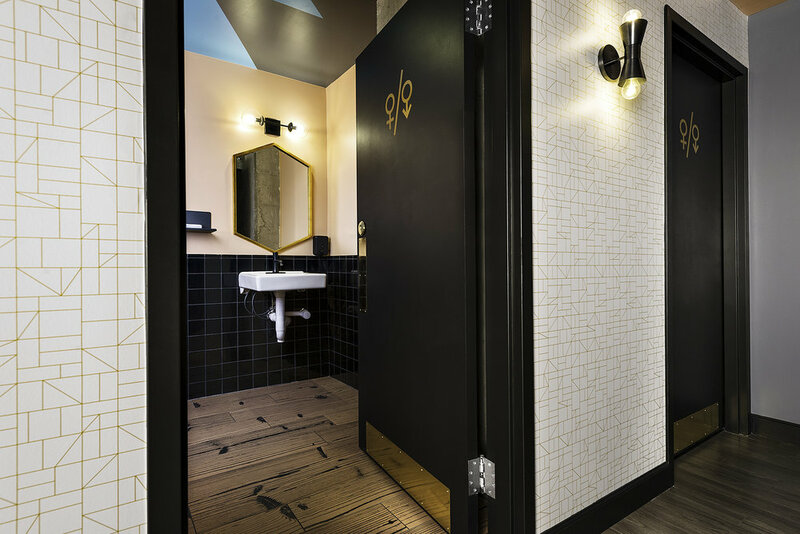 Sands Hotel & Spa, launched in 2018, is the latest imagining in boutique hotel group PRG’s bespoke properties throughout California. The hotel was originally a late 1950s era property in the heart of Indian Wells, a small community nestled between Palm Desert and La Quinta in the Coachella Valley. It has been completely reimagined with new building additions, including the Pink Cabana restaurant and bar, full-service spa and private wedding garden, substantial interior and exterior renovations and a complete redesign throughout. Sands Hotel & Spa will offer a new sensibility to desert travellers, with a unique, boutique vision that feels like a contemporary, creative new addition to the greater Palm Springs region landscape. Group Spa Director for PRG Hospitality, Luciana LoPresto, who was also principal of Spa Casa Hotel + Spa Consulting and served as spa consultant on the project, explains the ins and outs of this magnificent spa. 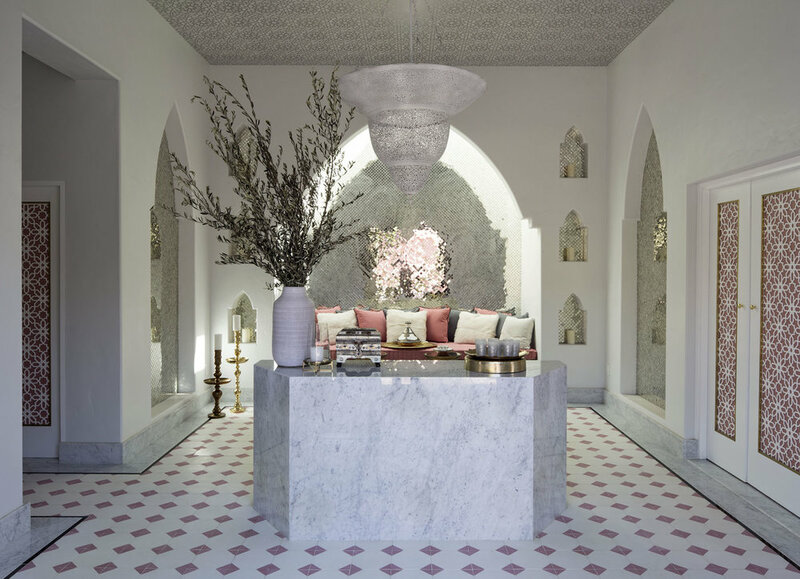 At the Sands Hotel & Spa the inspiration is found in the hammams of Morocco and Turkey, thanks to the visionary approach of acclaimed designer Martyn Lawrence Bullard, one of Architectural Digest’s Top 100 designers in the world. His concept for the 46 room boutique hotel is decidedly Moorish, particularly with the Spa at the Sands. The palette of white and desert pink was inspired by the beautiful marble and mirror master bathroom in Shangri La, the legendary Hawaii home of tobacco heiress Doris Duke. That space was crafted in Agra, India in the 1930s from white marble, mirror mosaics, semi-precious jewels, and inlaid arabesque design. What are some of the spa’s features? Located in the Olive Grove, the spa includes three treatment rooms, one of which is a couple’s treatment room. The spa also features a reception and retail area complete with lush seating for lounging pre and post-treatment. Bullard wanted it to be a special place where relaxation is the core emotion given by the design. The spaces provide guests with the utmost comfort, serenity, and a quiet place to rejuvenate the body and soul. Which products do you work with? Our primary skincare products are from the French marine based line Phytoceane, which we also offer for retail. Also available are full-sized products from Aqua di Parma, the hotel’s amenity line. We offer a variety of massage, facial and body treatments. All of the spa’s treatments are designed to promote vibrancy, health and inner beauty. Our signature treatment is our Royal Rhassoul Body Treatment ($250, 80 minutes) which includes a dry brushing, envelopment in a mask made of Moroccan clay (mined from the Atlas Mountains), rose petals, coconut milk and honey, and a rubdown with jasmine-scented body oil. As our signature treatment, The Royal Rhassoul Body Treatment has been popular since we opened the Spa in April 2018. Combining traditional Western techniques with detoxifying minerals and botanicals from all over the world, the spa at the Sands Hotel & Spa will leave your body, as well your mind, with a sense of rejuvenation.